Super Gloria, a versatile and highly efficient machine. 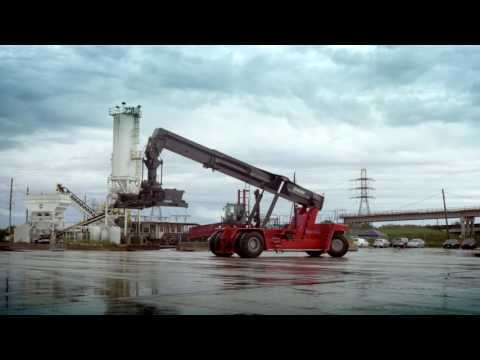 Richardson Stevedoring was looking for a flexible and versatile machine from Kalmar that could increase productivity and deliver exceptional levels of safety for their drivers. The machine needed to be able to load and unload barges quickly and safely, to meet the increased demand expected from the Panama Canal expansion project. Plus, handle steel and containers and be easily deployed to other tasks within their operations when needed. With positive feedback from drivers, Super Gloria has proven itself as a highly versatile, safe machine. Its heavy lifting ability and various attachments allow it to be deployed beyond loading and unloading barges, handling heavy steel coils with ease and, when needed, stacking containers in the yard. “The Super Gloria is special because of all its safety features and the maneuverability to access cargo quickly and safely. I would recommend Super Gloria to other operators in the same kind of industry” - Kelly Richardson.